People often complain about their dissatisfaction with the health issues and other significant issues in the government hospitals. However, this shouldn't be so as there are certain government hospitals in Delhi that are exceptional. They work towards catering the needs of the familiar people of the country. These hospitals in Delhi can tackle every disorder that comes its way. These hospitals are enriched with the infrastructure, proper medical tools. The medical professionals in these hospitals are well-trained ones who can handle the various diseases and patients. The government health sector is growing each day and thus, the ones in Delhi are too. AIIMS is considered to be one of the best hospitals in South Delhi for treatment of cancer in India. There is a separate department in AIIMS looking after the health of the people. The Surgical Oncology departments take care of the screening and diagnosis regarding the outpatient and inpatient services. It works towards catering to the needs of the people who have cancer. They also offer for operation theatres for both major and minor ones. It even provides for the facility of endoscopy for the treatment of different kinds of cancer. 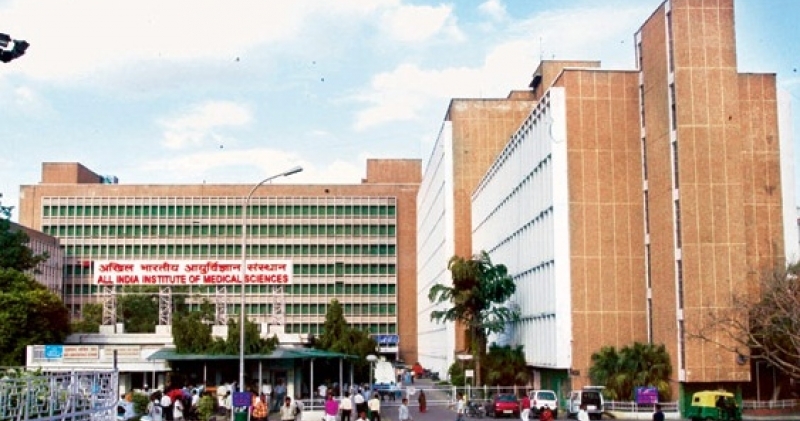 On an average yearly basis, about 3500-4000 minor and major operations are performed in the cancer department of AIIMS. Apart from taking care of the patients, the department is also active in providing the teaching as well as the research activities. The surgical post graduates even have the option to undergo training in the surgical oncology field. This non-profit hospital is solely based in North-West Delhi is aimed for the treatment of people who have cancer. They make use of the specialized procedures to treat the patients who have cancer. The team of professional oncologists looks into the matter of managing and eliminating the disease in the people. Not only does the hospital provide treatment for cancer, but also it has a specific sector which looks into the cause and symptoms of cancer. This group also works towards finding a proper solution for the treatment of the patients. The hospital is NABH and NABL accredited. Rajiv Gandhi Cancer Institute and Research Center have been awarded the Golden Peacock Award for Environment Excellence and Greentech Environmental Excellence Award. The Government of NCT of Delhi had set up this hospital in East Delhi for patients seeking cancer treatment. The institute offers help to all the people. The hospital has a range of highly qualified and professional oncologists who cater to the need of the people. The hospital is enriched with highly advanced technological equipment. They function with the latest technology that helps in diagnosing the cause and symptoms of the disease. Thus, they can effectively find out the cure of the disease. This institute in North-East Delhi was founded in 1983-84 with a small structure. However, the infrastructure was further expanded in 2003 and was turned into a 7-floor building. It has all the advanced technologies. The professional team of oncologists has been working on the betterment of the people and for finding the cure. The hospital utilizes the advanced technology for the treatment of the people. Some of the advanced technologies used in the hospital include Radiotherapy, advanced mammography and intensity modulated radiotherapy. Like the many other cancer hospitals, this hospital also has a research department which works toward preventing cancer from progressing. It is one of those hospitals of North Delhi with the most modern technology and having the infrastructural facility. It contains methods which include targeted therapies, hormonal therapy, and chemotherapy. This cancer hospital has a team of professionals who undertake various ways to treat and cure the patients. The major highlights of the hospital are inclusive of latest PET CT Scan, IGRT, 3DCRT, Cyberknife VSI, Trilogy Tx Linear Accelerator and Stereotactic RT. The hospital also provides for International facilities. This hospital of Central Delhi specializes in treating people suffering from heart diseases. It makes use of all the latest technologies to determine the cause and then treat the disease accordingly. The great thing about the hospital is that it is open for 24 hours. It offers for the Emergency services in association with the Lok Narayan Hospital. It treats about 3 lakh patients in OPD every year, while there are 15000 patients overall in the General as well as Private wards. All the patients who are admitted into the OPD or general ward are not charged for their treatment. The hospital usually allocates the bed to the patient depending upon the vacancy in the concerned department. Every patient is allotted one bed. The medicines, diet, and blood examinations are provided to the patients for free of cost. The charges and operations are given as an estimate by the doctor. Then, the concerned patient can move accordingly. However, the fees for the transactions usually vary depending upon the case. In case of emergency for blood, the patient will have to arrange it. Safdarjung Hospital in Central Delhi enlists itself within one of the oldest hospitals in Delhi started back during the World War II. It is one of the prominent government hospitals in India. The hospital provides specialized care for people suffering from cardiological disorders with a team of highly trained professionals. The department of cardiology in Safdarjung Hospital offers for the range of services for its people. Nevertheless, it provides treatment at a meager price which can be helpful for the ordinary people. You can even book for an online appointment. This is yet another hospital in South Delhi that aims at catering to the needs of the people. Although it is a little crowdy, the place is quite effective if you want a fast and effective response. The doctors are very responsive and helpful in solving the problems. The separate wing for the treatment of cardiological disorder has highly skilled professionals. They aim at offering the best treatment to their patients. However, if you are located in Delhi, it can prove to be a bit far. This place is open 24 hours, offering the best of their services to the patients. This is one of the most prominent multi-specialty government hospitals in South-East Delhi. It has a range of doctors catering to the various needs. The ENT doctors in the hospital are highly skilled. Several patients visiting the hospital every year because of the exceptional services it provides. The staff of the hospital is excellent who cater to the needs of the ordinary people. The primary focus of the hospital is to maintain the hygiene; thus, the hospital is pretty clean. The access to the hospital is pretty straightforward. The cost and charges depend on the needs of the patient. Nevertheless, it is quite affordable and the hospital. This is one of the prominent government hospitals in North Delhi aiming at catering to the needs of the common people. The dental department of the hospital has a range of highly skilled professionals. The access to the hospital is quite easy. It offers for a range of services to its patients. It aims at treating the various problems related to dental health such as treating toothache, teeth cleaning, surgery and many more. The prime concern in the hospital is to maintain the hygiene. Thus, the doctors make sure to maintain the hygiene while treating the patients. This hospital isn't much crowdy so you can get an appointment here easily. If you are concerned about the charges, then the hospital offers for affordable charges. The staff and the hospital are quick and responsive, so you will not need to In case of emergency. The hospital also offers for the facility of taking an online appointment. This is one of the most prominent hospitals in the North Delhi for dental treatment. The charges of the hospital are quite affordable. It offers for the outdoor as well as inpatient services. However, it is one small hospital located in Delhi with all the major facilities readily available. The wards are air-conditioned for the convenience of the patients. They treat the problems within an instant. In case of emergencies, the hospital staff is quite fast and responsive. This may not be the hospital in the North-Western Delhi the patients would like to go to. The staff isn't responsive, and only the senior doctors are effective. The hospital is not air-conditioned; however, it is quite an affordable governmental hospital around the village areas. This dental hospital in South Delhi works at offering the best services to its patients. It has highly trained professionals who work to cater to the needs of the familiar people. However, it is crowdy and a small hospital. It is quite affordable for poor and middle-class people. The hospital provides for a range of excellent medical services with proper facilities. This hospital is open from 8:30-12:00 am from Monday to Friday. During the weekend, the hospital remains open from 8:30 - 11:30. The hospital provides for free medical facilities. In case of emergency cases, the patients can be taken into the village apart from the mentioned hours. The hygiene of the hospital is well-maintained. Despite being a small hospital, the infrastructure of the hospital is quite good. Aruna Asaf Ali Government Hospital is one of the most prominent hospitals around North Delhi for orthopedic care. It takes individual responsibility for the orthopedic problems. The different wing for the orthopedic care ensures that the patients are treated well without any inconvenience. Like most of the government hospitals, this one too is a bit crowded. The medical services, such as medicines are provided free of cost. However, the patient may be charged in case of emergencies, when the doctor asks to do so. The hospital contains all the modern equipment and is very tidy and clean. This hospital in West Delhi has a department for eye-specialists who use the modern equipment to treat the various eye problems. The hospital provides medical treatment for free of cost, thus, proving to be useful for poor and middle-class people. It is quite tidy, and the hygiene is appropriately maintained in this hospital. Apart from specializing in orthopedic treatment, this hospital also takes to ensure the proper treatment of the eye-patients. The treatment in this hospital is free. However, additional charges may be implied if required. The hospital is small with an excellent infrastructure. The place is a bit crowded. The highly trained professionals of the hospital aim at taking proper care of the patients. They use modern equipment to perform the surgeries. The professionals take care of eye problems such as blindness, cataracts and more. They diagnose and find the real problem to treat it.